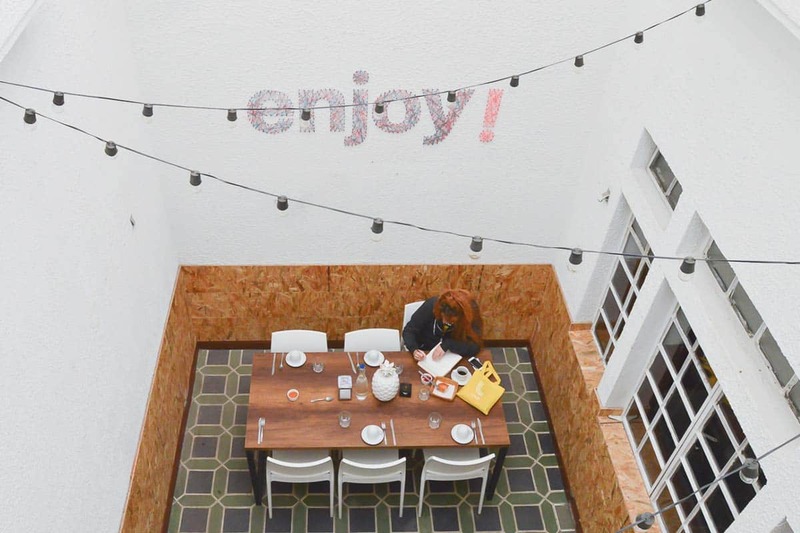 Hobu Hostel is an oasis for travellers in Bogotá, especially those that live and work on the road. 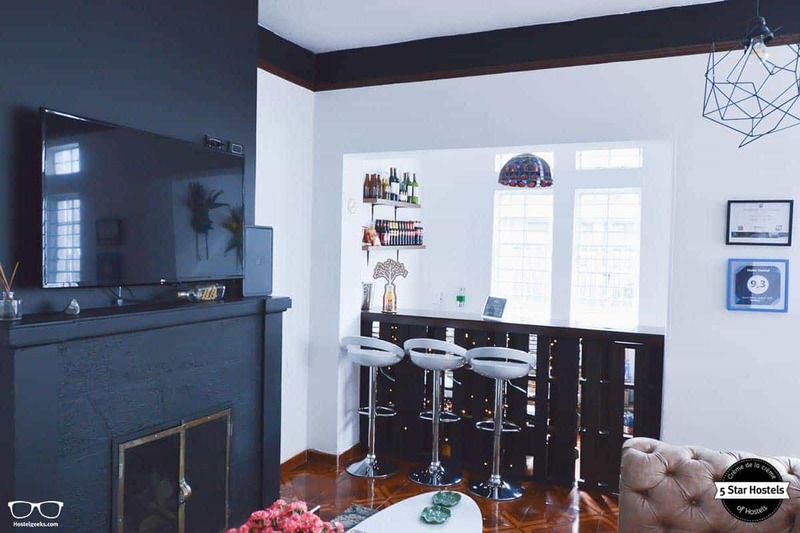 The stylish décor and high speed Internet throughout makes this the perfect location to explore Bogota from. 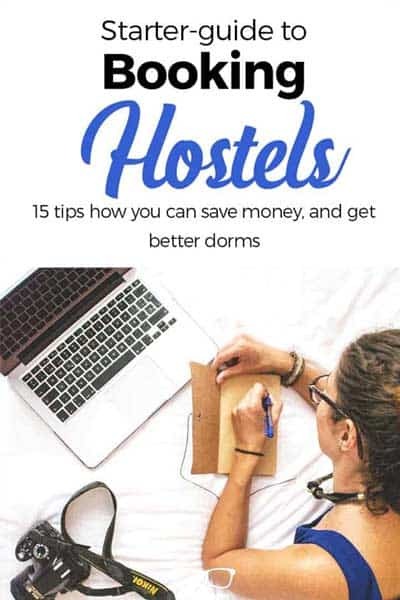 How to book Hobu Hostel? 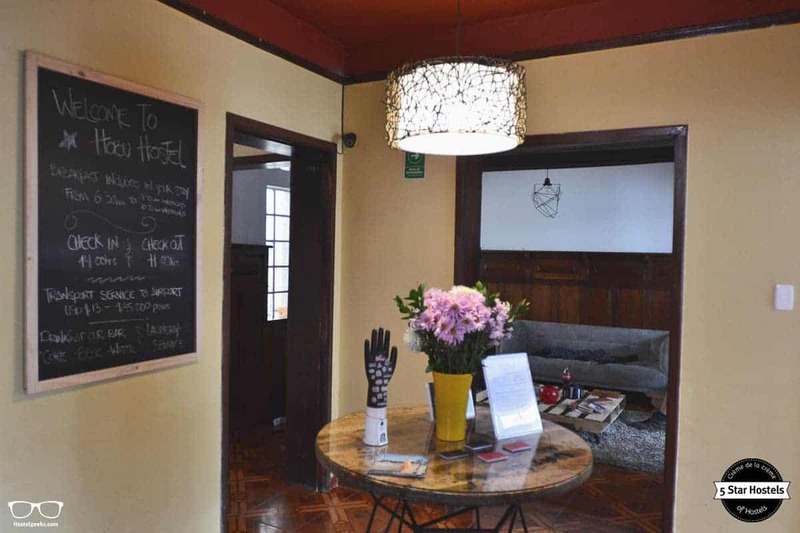 You just found our #1 recommendation for best hostels in Bogota, Colombia. 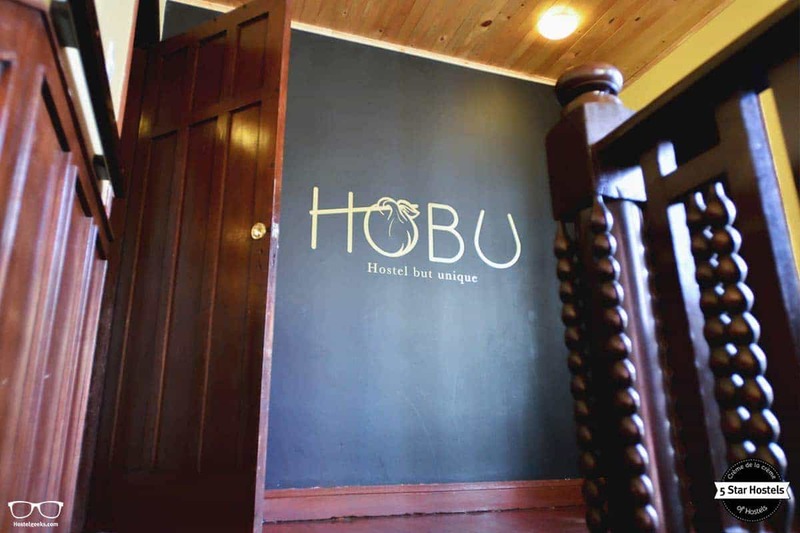 Genuinely, Hobu Hostel is the accommodation we recommend to our friends, family, and to you! You will like it! Planning to stay at Hobu Hostel? Please use the links provided above. 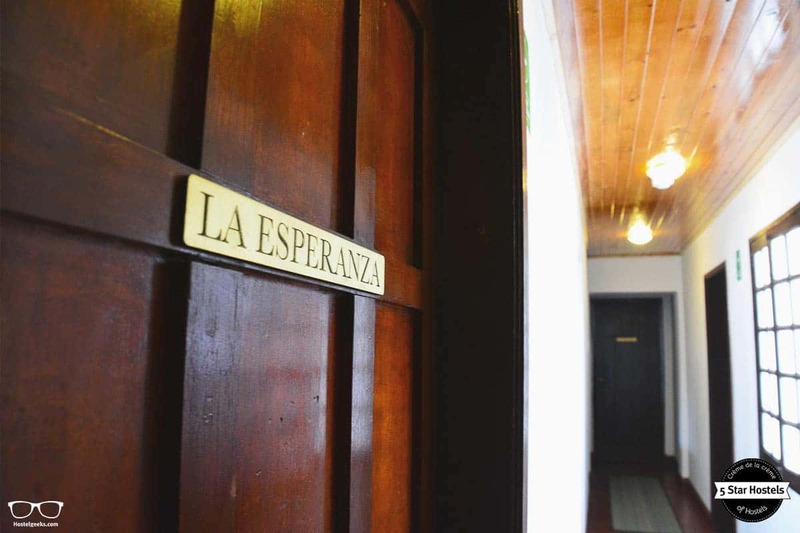 Whilst most hostels can be found in the busy area of La Candelaria, Hobu is in the quiet residential area of Chapinero. It is just a 10-minute cab ride from the tourist centre. 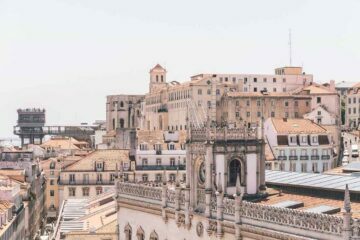 Be sure to ride the cable car to Mount Monserrate for beautiful views across the city. Within minutes of Hobu is a busy shopping street with restaurants, supermarkets, pharmacies and ATMs available. Bus services throughout the city and taxis can be caught from here. Just around 3 blocks, you will find two of the best clubs in the city: Theatron y Video Club. As well as bars and pubs as BBC Artisan Beer and BBC Bodega. In a nearby area, you can also find the premium cafes, bars and restaurants. 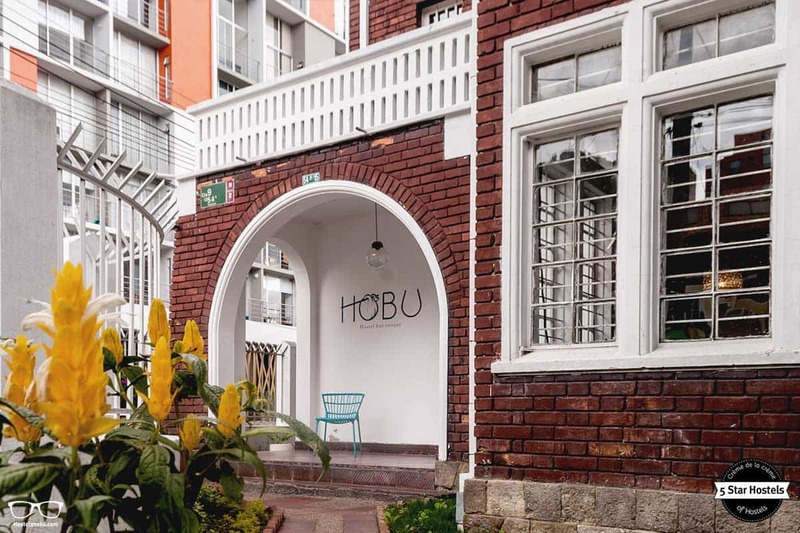 Hobu Hostel Bogota opened in 2016. 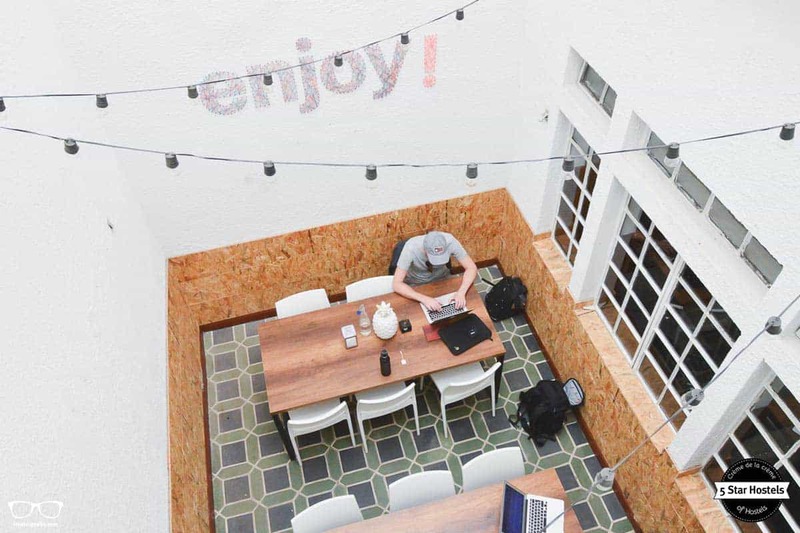 Located in a former residential home, they have a strong focus on co-living and co-working. Interested how Hobu Hostels compares to other hostels in town? 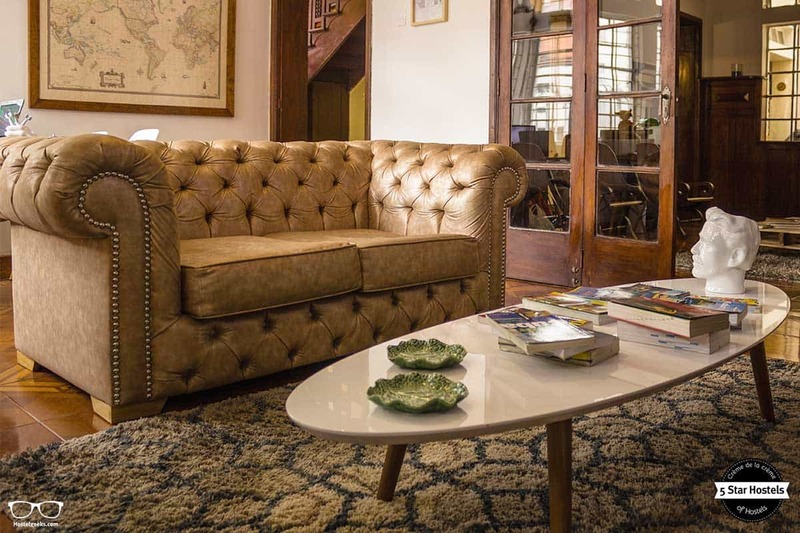 Read our brand new guide to the best hostels in Bogota, Colombia. All accommodations compared and put on a map. 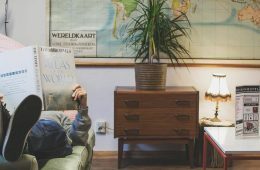 We are Hostelgeeks, your independent gateway to the worlds unique hostels, the 5 Star Hostels. 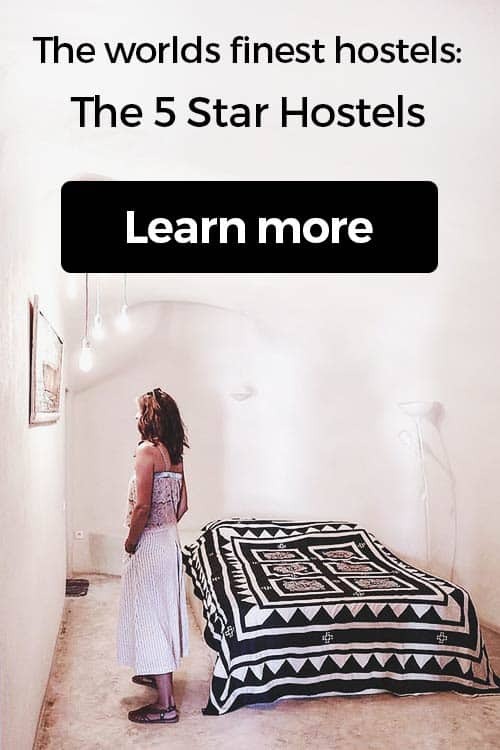 All official 5 Star Hostels awarded by Hostelgeeks cover all the criteria of being sustainable, great design, unique, social vibes, and top-rated staff. Here’s our guide to the best hostels in Colombia (put on a map). Fauna Luxury Hostel in Escazu: Pura vida Lifestyle in Costa Rica. We did also create a guide for the best hostels in Cartagena and the top hostels in Medellin. Find all 5 Star Hostels in South and Central America. 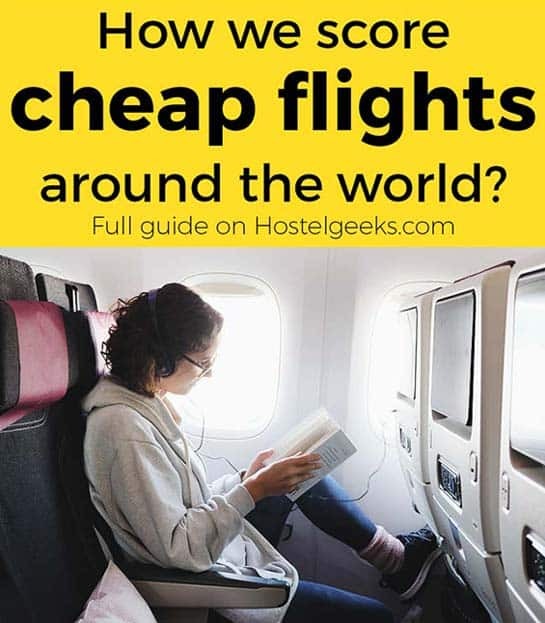 Hostelgeeks writers Simon and Eshe travelled around South America and checked the hostel scene. They visited Hobu Hostel and brought us a bunch of photos and impressions of this unique Hostel in Bogotà. When you arrive late at night into a foreign country after 20 hours of travel, to find your luggage has gone missing you can suddenly feel a million miles from home. It was most welcome then when the team and the building itself at Hobu Hostel instantly felt homely. In fact, it started before we even arrived. The hostel team had arranged a driver to meet us and he stood at the arrivals with our names on a sign and a big smile on his face. Their pick-up service is a convenient way to get stress-free to the hostel after a long trip. 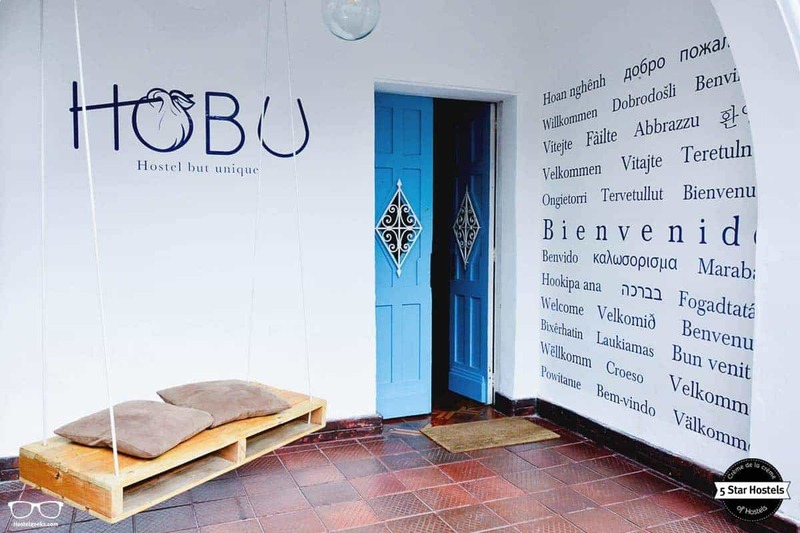 After a 20-minute drive from the airport and we arrived at Hobu Hostel situated in the Chapinero district of the city. 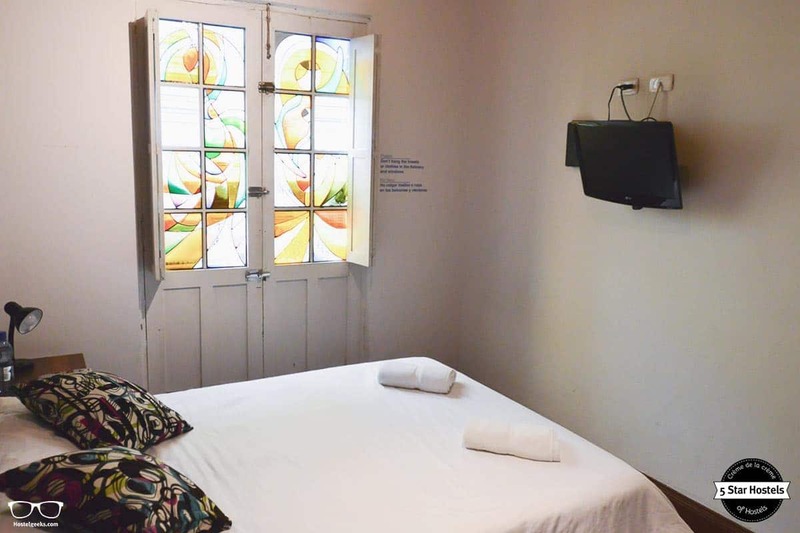 Whilst a majority of Bogota hostels are in the more busy and touristy La Candelaria district, Chapinero connects this area and downtown well and offers much quieter streets – meaning very little late night noise. Chapinero was once a very high-class part of town and today is still a mix of upmarket residential property and businesses. Converted to a hostel in August 2016 the building boozes character. 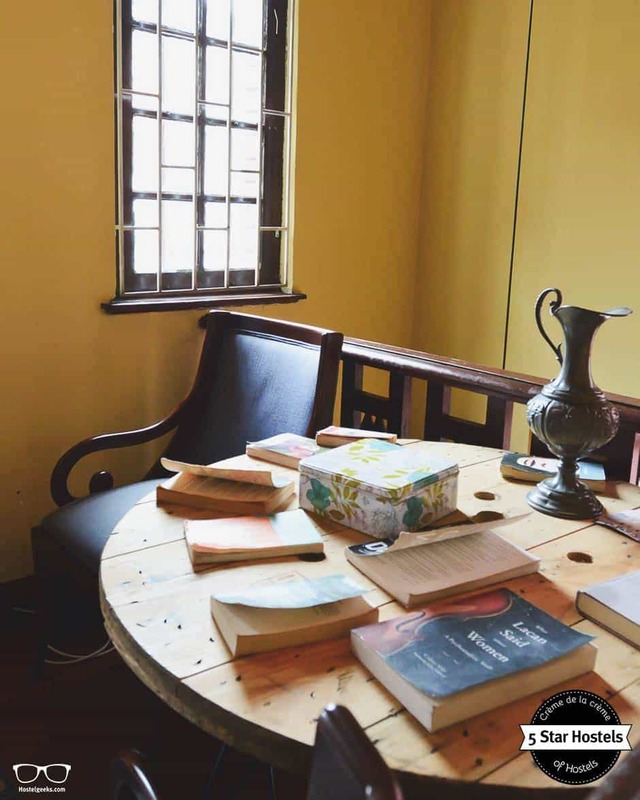 Originally a private residence it has also served as a home for nuns, a rehab centre and a cultural office. Most of the products used in the kitchen are bought at the local markets, as they aim to support local business. Their fruits, eggs and vegetables, come from the countryside areas nearby Bogota (particularly Cundinamarca and Tolima). The cleaning products are toxic free, environmental friendly and biodegradable. They do also only use environmental friendly products. 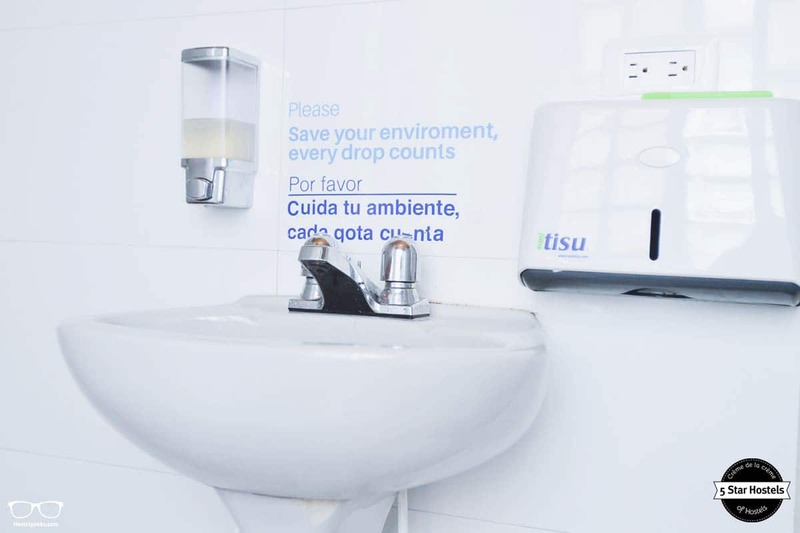 All of this in addition to the typical recycling of glasses, papers and plastics that is expected for a 5 Star Hostel. The staff is from Bogotà. They can help you to book tours around the city. The work with local suppliers as well. Their knowledge of the area is wide. Do not hesitate to ask any question you might have. 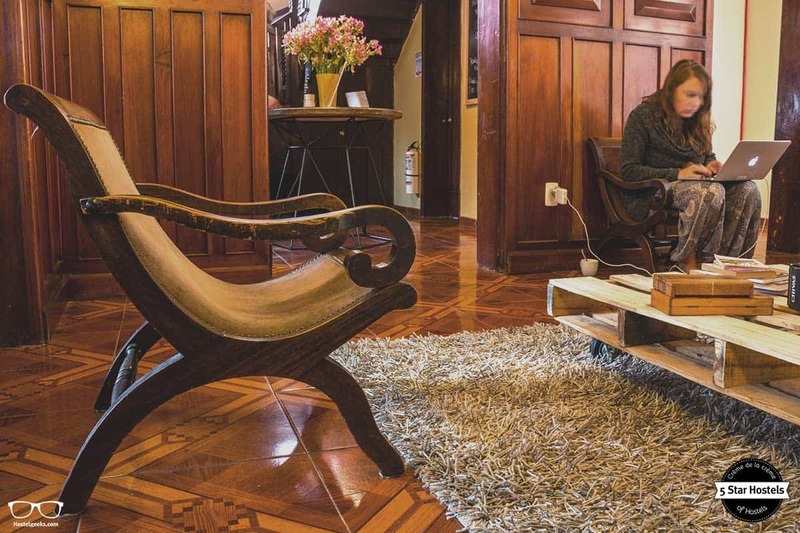 In a city that is still fighting off a reputation as being unsafe, security is a focus at Hobu Hostel Bogota. 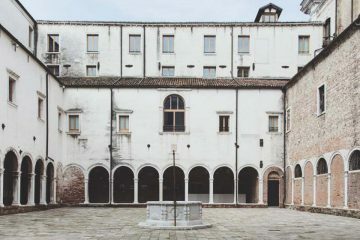 The entry to the small garden at the front of the building requires you to ring a bell. They will come and unlock the gate to let you in – even if you are returning from a late night of partying. 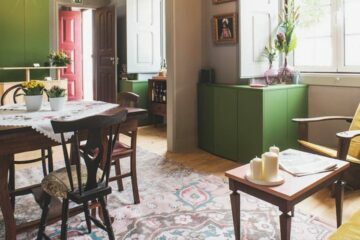 Walking into the reception felt like walking into a classic old English house, the kind that charge high prices as bed and breakfasts across much of Southern England. The original record of the house is from 1950. In 2016, the property was restored trying to print an industrial-minimalist style in a British classic house. They aim to combine past and present. The ornate blue doors lead into the hall where rich dark panelled wood walls and a spiral staircase with a carved railing leads upstairs to the rooms. A simple desk in one of the two lounge areas acts as a reception desk and if you need to wait you can relax on a pristine and super comfy Chesterfield couch and even watch TV. There are often football matches from around the world playing. 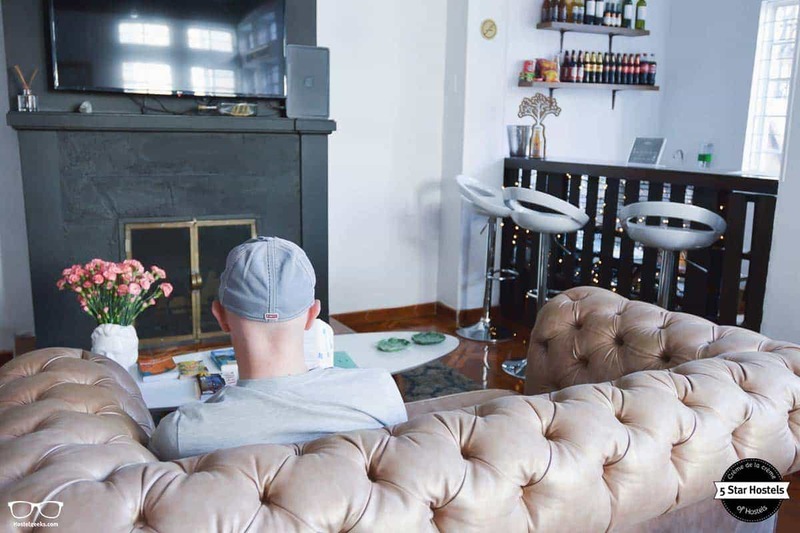 Grab a beer or soft drink at their small bar, but do not fear, this is not a party hostel. 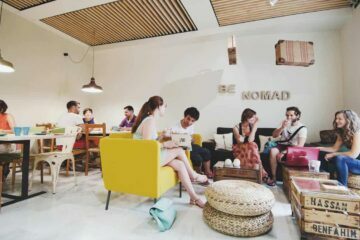 Check out the 7 types of hostels. 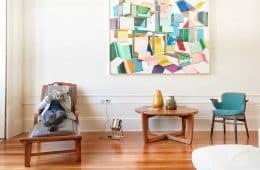 A second lounge has equally stylish and comfortable couches to relax on but mixed with the classy styling are pieces of upcycled furniture. A coffee table is made from an old pallet, as is a pretty swing seat on the patio in the garden. But there is more behind the name than a clever acronym. There are many ‘Digital Nomads’ who work from a laptop as they travel and Hobu is designed to offer comfort as well as being a place to work and live. Co-staying, Co-working, Co-Living adorns their business cards. The name came from this type of lifestyle, but the modern day traveller is not the ‘Hobo’ transient of the past, hence the O was replaced with a U. 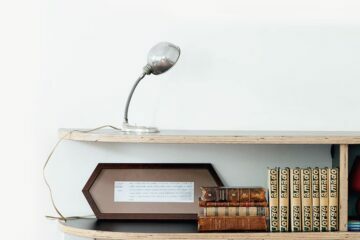 With high-speed Wi-Fi throughout the building, as well as several quiet areas to read or work, including a computer for guests to use, it certainly delivers on this promise. 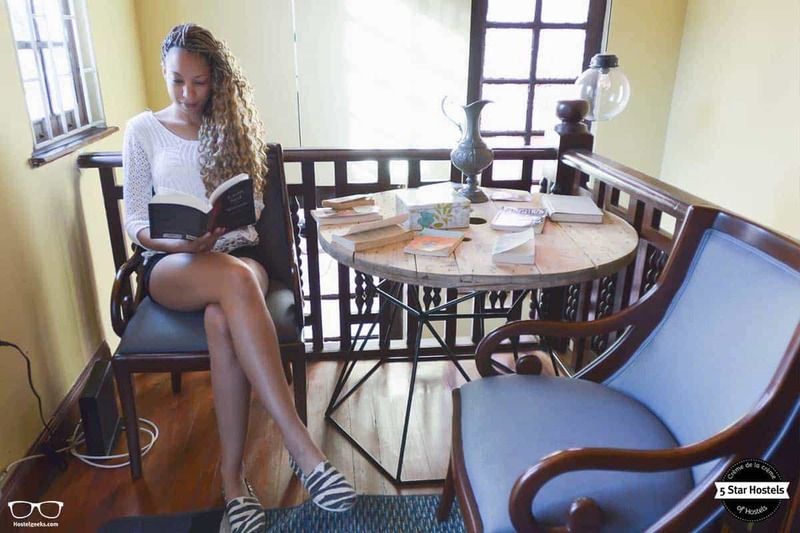 On that note, here is a list of 46 things that makes a hostel stand out. 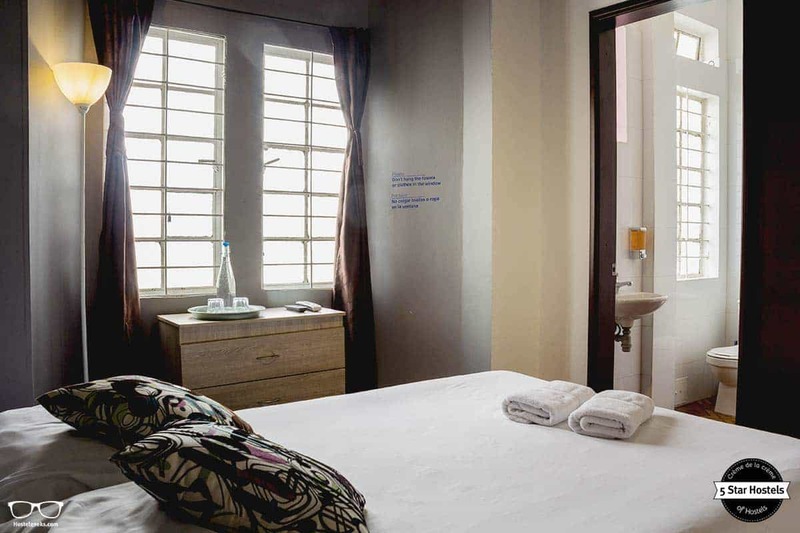 The hostel currently has space for 27 guests split between five private rooms and dorms. Though they are planning expansion on the top floor of the building which will be able to host 40 guests. Attention has been put into giving the rooms character with names replacing numbers and touches such as cushions and stained glass windows. 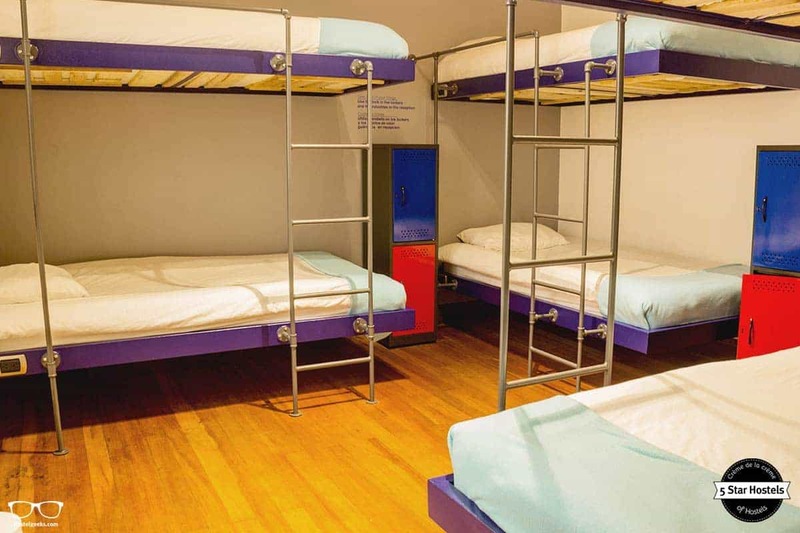 The dorm bunks were specially designed and built by a local steel company. Suspended from the ceiling and able to support up to two tonnes apparently – I’m not sure how they tested this though and probably best not to ask. 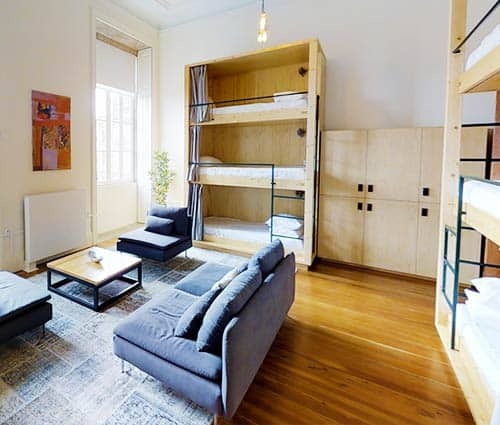 Here is a guide to different hostel room types. 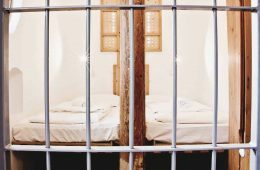 Each bunk also has individual electrical sockets for charging up your gadgets, connecting with the rest of the world or zoning out with a movie. 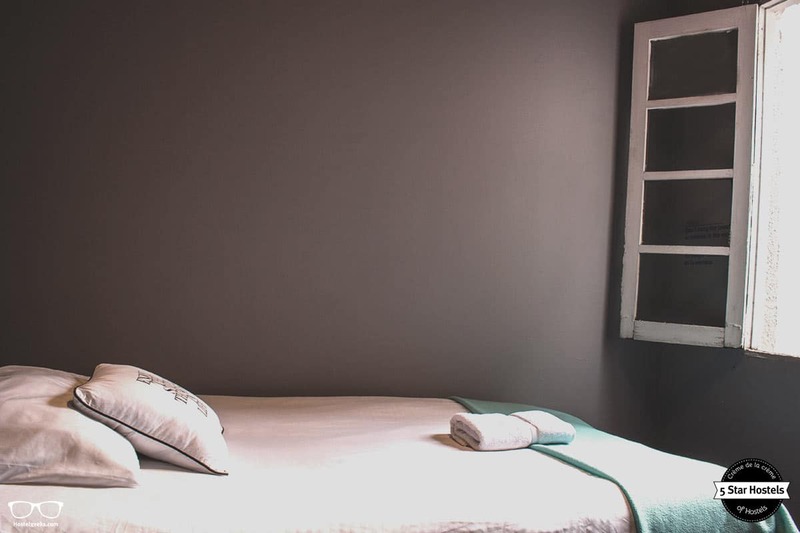 Linen and towels are provided and all areas of the bedrooms, shared bathrooms and whole property are kept spotlessly clean. 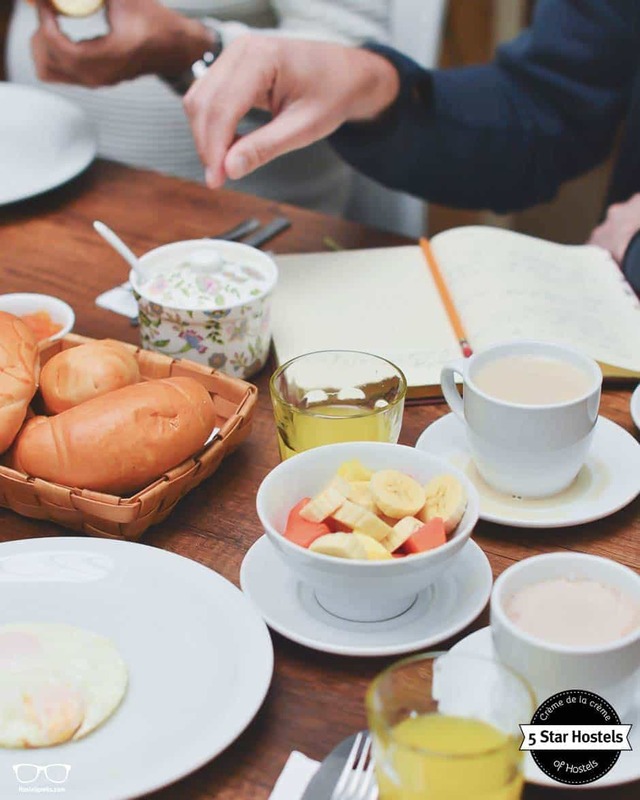 What about breakfast at Hobu hostel? Whilst a tasty breakfast of delightful locally sourced fresh fruit, eggs, bread, juice and tea, coffee or hot chocolate is included in all rates, a fully functional and well-stocked kitchen is available for guests to cook at any time. 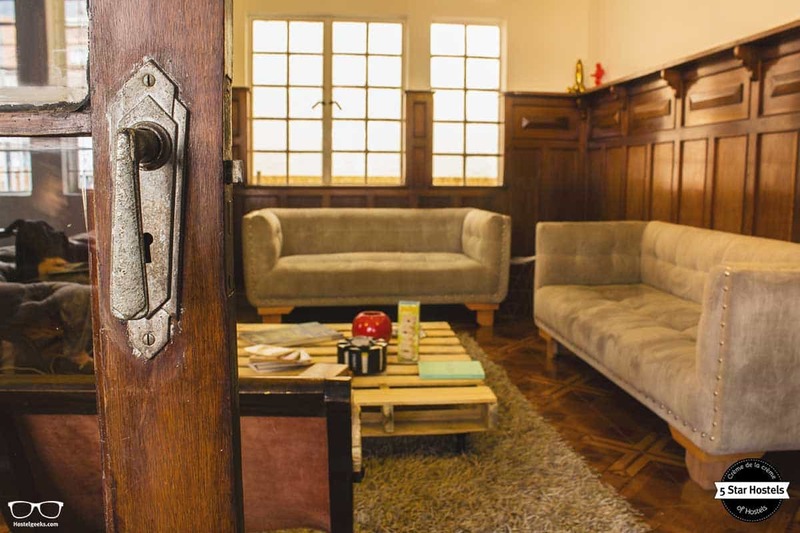 In case guests bring friends, they are allowed to be in the first floor of Hobu Hostel. The bar service is until 11:00 pm, but they can help you to decide where to go party next in case you need it. Every Tuesday they take guests to a local Club, a great place to meet people around the world, party, learn and practice Spanish, or develop new friendships. On Thursdays, they provide guest free entrance tickets to one of the best Clubs of the city. Time to party if you feel wild! 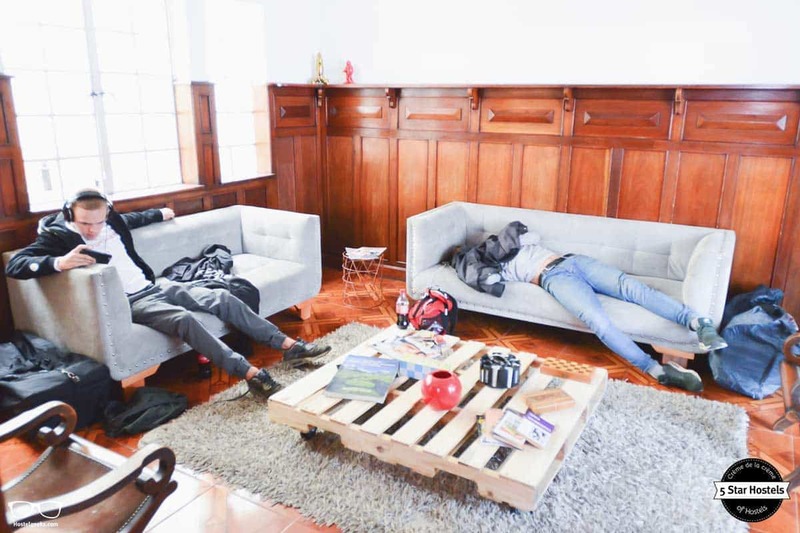 Hobu Hostel Bogota is not a party hostel, but if you are looking for party they will give you all the information you might need. The team will provide you plenty of information, as well as personalized recommendations. It is fair to say all Colombians seem to be warm and welcoming, but that certainly applies to the Hobu team. From the ladies that served breakfast to the manager and all the reception team you are warmly greeted whenever you enter a room and nothing is too much for them. And you can notice the staff is interested in tourism and do like to talk about their beautiful city. Organizing transfers and recommendations on what to do are likely expected, but the team took even the time to chase our lost luggage with the airline. They also gave us insight into more local, less touristy things to do during our stay. If a party hostel in the centre of it all is for you then Hobu Hostel Bogota may not be the best option. But if you want quiet, comfort, character and charm you’ve come to the right place. After all, this is the best hostel in Bogota. 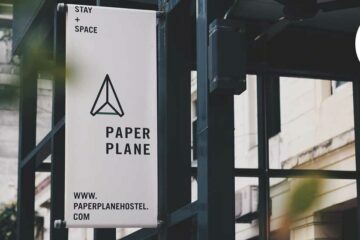 The only 5 Star Hostel in the Colombian capital. 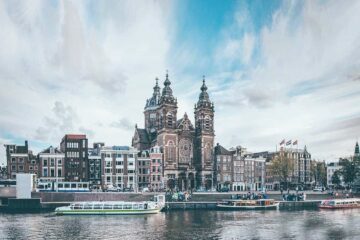 Fancy a promo code for Hobu Hostel? Who doesn't?! Now, there is no easy way to say this: Currently we do not have a valid discount for Hobu Hostel. 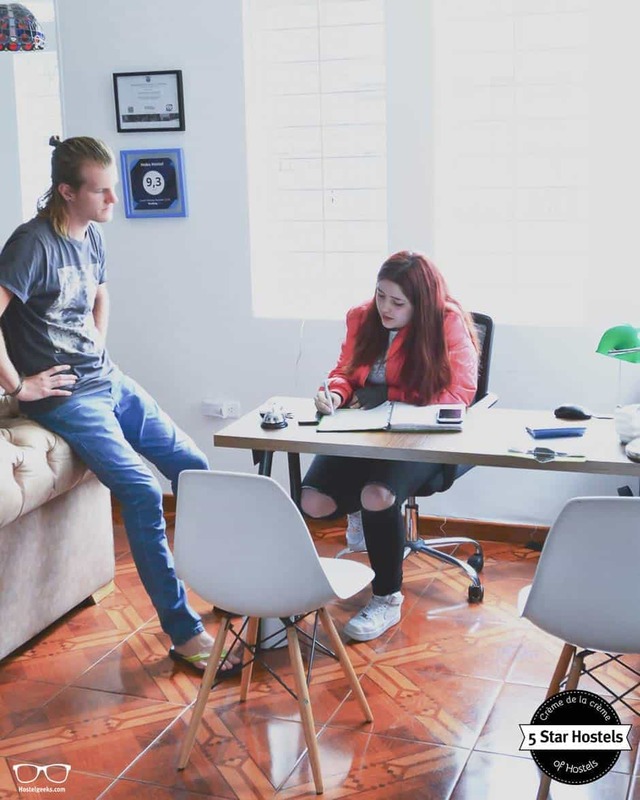 We are working on getting more promotional codes for Hobu Hostel in Bogota, Colombia and all the other top hostels we reviewed for you. 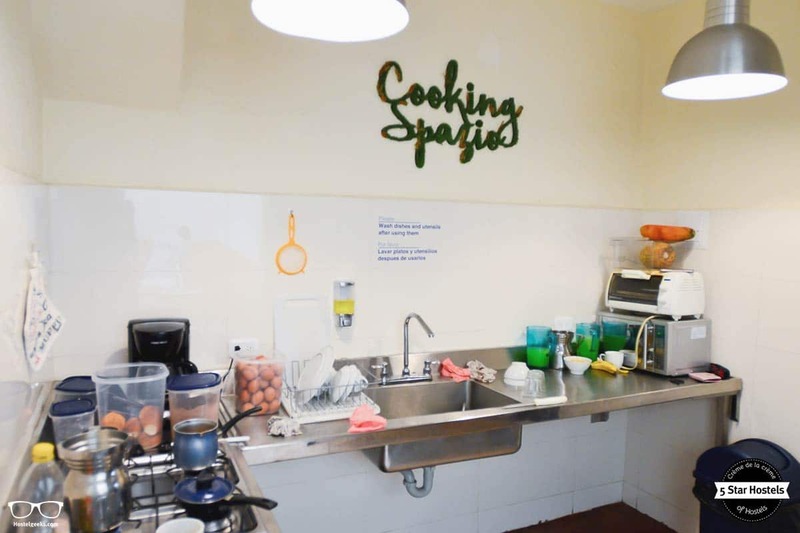 You were looking for the absolute BEST hostels in Bogota, Colombia? You just found it! 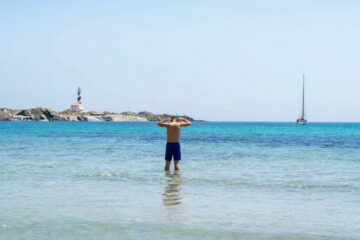 Hobu Hostel is the top place we recommend to our friends, family and to you! Update April, 2019: How to find flight deals to Bogota, Colombia? Still looking for cheap flights to Bogota, Colombia? We LOVE Kiwi.com. You can search here with a so-called "radius search". It is incredible easy to find sweet flight deals to Bogota, Colombia and area.